Getting the Best Deal With a Toyota Lease! Toyota’s renowned reliability and dependability are well known and well proven. After all, that’s a big reason why you decided to consider Toyota in the first place. 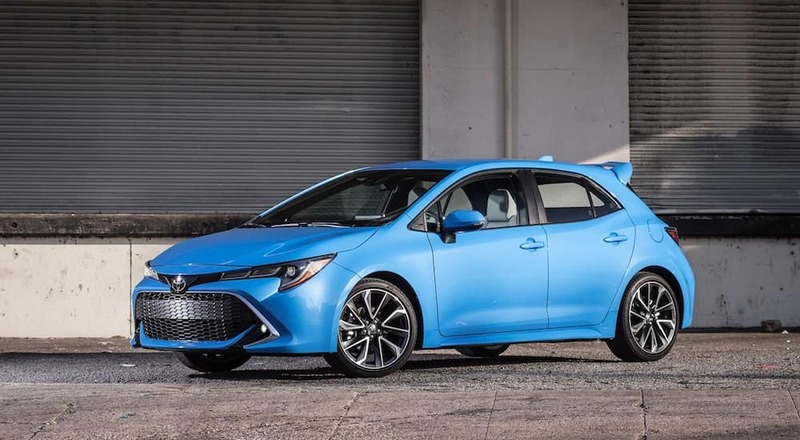 However, while you probably assume that you’re going to purchase your new car, it may make more sense to opt for one of the many Toyota lease deals. See why you should consider opting for a lease and then explore why you should be shopping for that Toyota from Joseph Toyota. We’re sure you’ve probably considered the option to lease a vehicle instead of purchasing it. However, you may be unaware of all of the benefits that accompany that first option. Besides the financial incentives, customers can also appreciate a lack of obligation and repairs. Ultimately, unless you’re uncertain of your future living situation, there’s really no good reason why you shouldn’t at least consider Toyota lease deals. Since you won’t be purchasing your targeted Toyota outright, you’ll be saving a whole lot of money by opting for a leased car instead. It goes beyond the lower monthly payments, which are certainly appreciated (especially if you’re operating on a tighter budget). We’re also not necessarily referring to the lower down payment, although we all enjoy the fact that we don’t have to dig even deeper into our bank accounts as we’re shopping for a car. Rather, by leasing a vehicle, you won’t be responsible for tolerating the depreciated value of the car. Instead, the dealership will be taking that financial hit for you, meaning you won’t have to be overly concerned about your vehicle’s resale value. Furthermore, these dealerships and brands tend to accompany their leased vehicles with an assortment of warranties. Depending on the length of your lease, you may be able to capitalize on a multi-year limited warranty, as well as a powertrain or anti-perforation warranty. That way, if you do run into any issues with your leased vehicle, the brand will have you covered. Finally, since you’ll be saving a chunk of money via the down payment and monthly payments, you may be better positioned to afford any fancy amenities you’ve been seeking. For instance, a sunroof or a high-tech infotainment system may be out of your budget if you’re opting for a new car. However, by siding with a leased Toyota, you may have a bit more money to commit to those classy (and pricey) amenities. You’ll surely be signing a contract when you lease any of Toyota’s vehicles, but you can easily swap out your ride when that contract has ended. Often times, when customers purchase a vehicle, they intend to (figuratively) run it into the ground. Whether they’re looking to get a decade and/or 100,000 miles out of their ride, they’ll stick with the nameplate until they have no other choice but to opt for a replacement. With a leased vehicle, you can easily move on from the nameplate when the lease ends. While this advantage allows you to constantly ride around town in the newest, most modern cars, it also lessens the chance of buyer regret. We can tout a specific car’s features and amenities, and a customer can take the targeted vehicle for a test drive. However, you won’t be able to truly gauge everything the vehicle can deliver until you’ve been behind the wheel of the car for several months. At that point, you may have realized you made a wrong choice… but you’ll be stuck with the ride if you outright bought it. By leasing a vehicle, you won’t have to have any of those fears. Once your lease ends, you can easily swap out your current ride for an upgrade or replacement. No one wants to be tied down to one particular vehicle, and these Toyota lease deals assure that you won’t be. As we mentioned, many leased vehicles are still accompanied by warranties. Therefore, if you run into any specific mechanical problems with your new Toyota, you won’t necessarily be obligated to pay out of pocket for the repairs. Of course, that shouldn’t be an issue anyway, as worrisome mechanical issues rarely pop up during a car’s first few years on the road. By the time the vehicle is starting to show some signs of decline, there’s a good chance that you’re approaching the end of your lease deal anyway. Of course, this doesn’t give you an excuse to treat your leased Toyota like a toy. If you return the car to the dealership in horrible condition, there’s a good chance that the business will make you pay out of pocket for any of the self-inflicted issues. If you’ve been hunting around for Toyota lease deals, then you’ll appreciate all of the services and incentives that Joseph Toyota provides. The dealership is housing hundreds of vehicles, meaning you can easily find the nameplate that best fits your needs. The finance and service department will come in handy before and after you’ve made your purchase, while their flexible hours and location leads to the utmost convenience. See for yourself why you should be opting for your Toyota lease from Joseph Toyota. You certainly won’t be limited for choices if you opt for Joseph Toyota for your next leased car. We have more than 300 new vehicles sitting on the lot, including an assortment of Toyota cars, SUVs, and trucks. No matter what nameplate you end up zeroing in on, you’ll surely find it at Joseph Toyota. We also have options for those who may be in the market for a used car. There are more than 100 pre-owned vehicles, including certified pre-owned vehicles. if you’ve been seeking a non-new car that is just as reliable and trustworthy as the newer counterparts, then you won’t have to look any further than these CPOs. Of course, Joseph Toyota has unmatched prices, and our continuous deals will allow you to save some extra money. 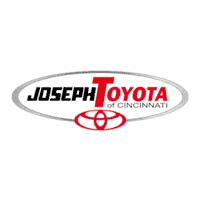 These are all big reasons why Joseph Toyota is among the most popular in Cincinnati, Ohio. You’re going to be interacting with Joseph Toyota throughout the lease of your vehicle, but there are more reasons to continue your relationship with the business. The service department is around to fix up any issues you may come across with your new Toyota. Whether you’re looking for repairs, maintenance, or parts, we can take care of you. There’s also a finance department for those who need a chunk of money for their impending purchase. Even if you’re struggling with a poor credit score, Joseph Toyota is ready to help. Before work or during the weekend, you’ll always be able to find the time to visit Joseph Toyota. After all, the sales department is open seven days a week, including staying open until 8 pm on Monday through Thursday. The service department is open six days a week, and the 7:30 am start time means you could easily visit before work. The dealership is also plenty easy to find. Located right off Interstate 275 in Cincinnati, Ohio, you can easily glide into the business. The convenient hours and location is just another reason why you should be turning to Joseph Toyota for your leased car.